Have you ever worried about leaving your child behind in the car? Surely you have seen the stories where this happens, and it is an absolute tragedy. In many situations, the parent simply forgets that the child is in the car, and leaves them there by mistake. I know you are probably thinking that that seems absolutely insane and is something that you as a parent would ever do. But, the reality is that for busy parents sometimes you can be pulled in so many different directions and can end up making this horrible mistake. We understand that no parent would ever intentionally do this, but we also understand how exhausting being a parent can be at times. If you even have this worry, that makes you a great parent, but we are here to take that further. If you have a busy schedule and are worried about leaving your child in your car by mistake, keep reading. We have compiled this list of tips that will help ensure that this is a mistake that you never make. This first tip is a main reason we created this article. It is easy to think that this is a problem that will never happen to you, because you could never imagine leaving your child behind. However, this would be a mistake. We know you would never intentionally do this, but as we mentioned earlier, in a majority of these cases, it was a complete accident. Therefore- you need to realize that this can happen to anyone, even the best of parents. With this in mind, you should be a lot more alert and aware of this, which will hopefully help you to not ever make this mistake. Mistakes happen, all parents know this, but some mistakes are too dangerous and you simply cannot afford to make them. This of course, is one such mistake. As a parent, you lead an incredibly busy life and have to juggle so much on a daily basis. You might still think you would never do something like this, but the reality is that you just might. Part of having such a busy life comes from all of the distractions that we have to deal with every day. A huge distraction? Your cell phone. We hope that you never use your phone while driving, but the reality is that even for parents who do not use their phone while driving, they are using it the moment they stop driving. This might even mean using it while at a stop light (even though you should not do this). Your phone is a huge distraction, and could end up causing you to leave your child behind. We understand that you take your phone with you wherever you go (we do too). However, to minimize the risk of leaving your child, make sure it is stored away in your purse or briefcase while you are driving, and even when you have reached your destination. Without your phone to distract you, you are much more likely to remember that you have your child with you in the backseat. Another great way to ensure you won’t leave the car without your child is by moving items around in your car. This can happen in various ways. One way is to put your items (such as your purse, wallet, or briefcase) in the backseat next to your child. This way, when you go to get your items that you need with you, you will see your child right there and cannot forget them. If you are afraid that you will completely forget to grab items from the backseat, you can instead put something up in the front seat with you, such as a stuffed animal or other child’s item that will remind you of your child. Sometimes, all you need is a simple visual reminder, and this is a great way to prompt you to get your child from the car before leaving. You can try both methods and decide what will work better for you. This tip should only be followed if you can still safely install the specific car seat in another position. However, if you can, it can be helpful to move your child’s car seat into the middle of the backseat, instead of being behind the driver’s seat. This way, your child is much more visible to you, including when you are looking in your rearview mirror. Like the previous tip, this is all about having a visual reminder that your child is with you while you are driving. 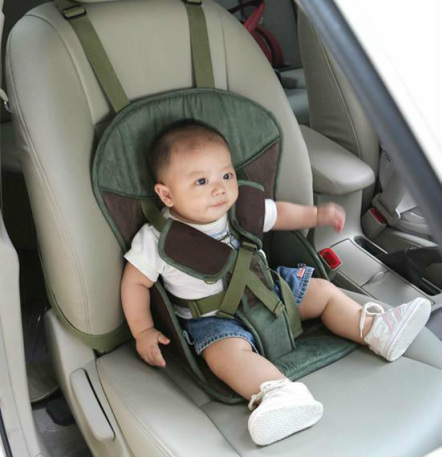 However, if the car seat cannot be installed safely in the middle, do not risk the child’s safety. Use another one of the tips on this list instead of this one when in doubt, as your child’s safety is always the most important thing. Finally, if all else fails, you can always install an app on your phone that will help to remind you that your child is in the car. Typically these apps work via bluetooth, so you need to have a phone and a car that has this technology. The app will then recognize when you are in the car and can send an alert when it registers that you have left the car. Two popular apps are Precious Cargo and Kars4Kids Safety. Considering how attached we all are to our phones (although this, as we said earlier, can sometimes be a problem! ), it is a smart idea to use this technology in a positive way. However, if you do not have a smartphone or bluetooth enabled car, there are other tips on this list that you can follow instead that should keep your child just as safe. We know you would never leave your child on purpose, but we also understand how busy life gets! Take these simple extra precautions to ensure you never make this mistake.